Any runner almost anywhere knows the pain and struggles of training in the heat of the summer. Between dehydration and electrolyte imbalance, a good run and turn into a disaster before you realize what happened! I learned early on that the heat and humidity do not mix well for me. 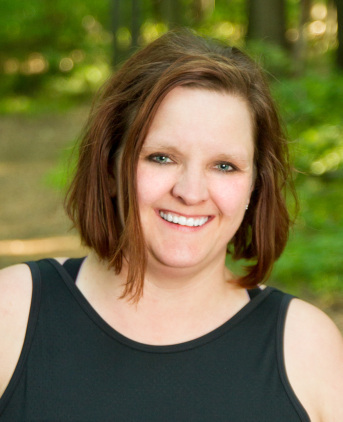 I have dealt with heat stroke, headaches, and so much more. 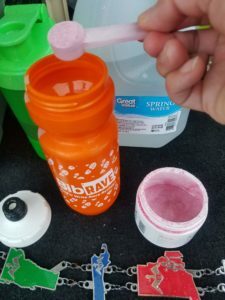 I always make sure to keep myself hydrated while I am running, but keeping electrolytes in balance is also key! Electrolytes are chemicals that conduct electricity when mixed with water. They regulate nerve and muscle function, hydrate the body, balance blood acidity and pressure, and help rebuild damaged tissue. The muscles and neurons are sometimes referred to as the “electric tissues” of the body. They rely on the movement of electrolytes through the fluid inside, outside, or between cells. When we workout, we flush the body of these important chemicals! These electrolytes must be replaced to maintain healthy levels. This is where Ultima comes in!! Ultima is made with all 6 balanced electrolytes plus support minerals, real fruit flavors, and plant-based colors. It is sweetened naturally with organic stevia leaf extract, and it has no sugar, carbs or calories! Ultima Replenisher is certified Vegan, Paleo Friendly, Keto Friendly, Gluten-Free and made with Non-GMO ingredients. 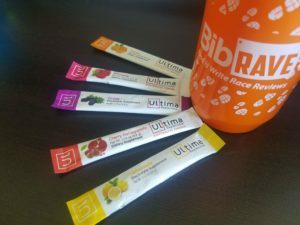 I received my shipment of Ultima Replenisher just before I left on my 2 week road trip and Mainly Marathons race series! I received a 30 serving canister of the Pomegranate Cherry Replenisher, as well as a 20 count variety box that contained travel sticks of each flavor! I knew that I could be facing some warm temps and humidity when we traveled across the New England states, so I figured this was going to be the perfect time to try this out! The first thing is the nice light flavor! No thick or sticky. Nothing super sweet! 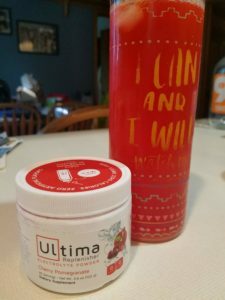 Over the course of 8 days, I drank Ultima Replenisher after each of my half marathons! It was the perfect post race beverage as we drove from one location to the next! As the week progressed, we found that the temps started getting warmer. I knew that I needed to be proactive about keeping myself hydrated, but also keeping my electrolytes in check. 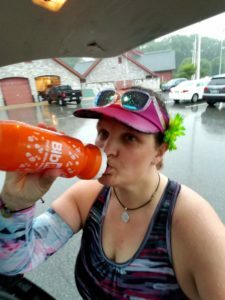 After day 4, I started adding Ultima to my race hydration about halfway through! This proved to be the perfect addition to my race! I made it through 8 half marathons in 8 days, 2 of which were in temps that hit 90 degrees or above. 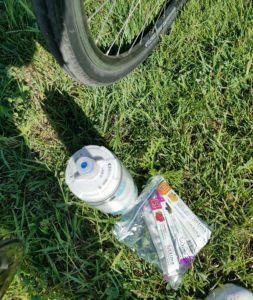 By using Ultima Replenisher, I was ready for afternoon adventures between races and was ready to go again at the crack of dawn the next day! I tried each of the flavors and will honestly say that there was not one that I didn’t like! This past weekend I had the chance to try out Ultima once again on an 80k bike ride. I packed a few of the sticks in my pockets on my cycling jersey so I was prepared. After a few hours, the temps started to climb and it was time to switch from water to Ultima! Since I was filling my water bottle to have enough to get us through to the next aid station, I needed two sticks. I mixed up a combination of the raspberry with the lemonade! Perfect combination for a warm summer day! I know that I will be making Ultima Replenisher a staple in my summer hydration! In fact, I am heading out to Amazon to order some now! You to can order your Ultima Replenisher and get the same great deal they gave me for testing it out! Use the code “ULTIMABR” and receive a 15% discount at check out! 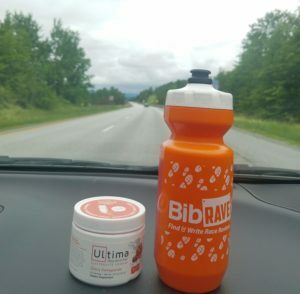 Now get out there and enjoy the summer… but take your Ultima Replenisher with you! Your body will thank you for it! I have been bringing an extra bottle of water in a cooler with ice so that I can mix in the Ultima right after my longest runs.